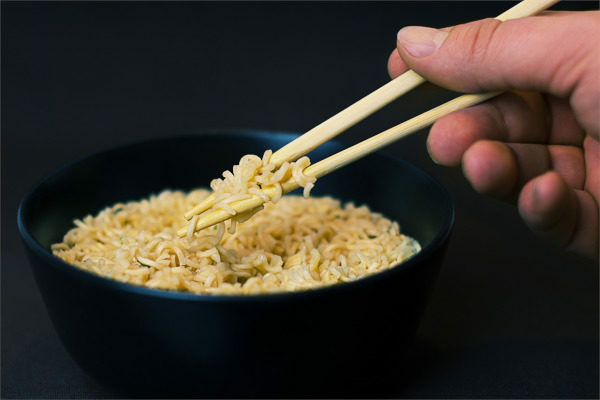 Emotional Intelligence (EQ), Improv, and the art of eating with chopsticks - ImprovThis! What do chopsticks, improv, and teambuilding all have in common? You are on a first date at the hot new Asian food restaurant everyone is raving about. As you look around, you see how others make it look so easy. They effortlessly use their chopsticks to pick up a single grain of fried rice that has strayed too far from the rest. You are doing your best… but you are just moments away from stabbing the sweet and sour shrimp that’s taunting you as it slips out of your grasp for the fourth time. Perhaps your date, who you wanted desperately to impress, tries to talk you through how to use chopsticks. They walk you through which fingers to use, where to place your fingers, and how to squeeze just right. While the double entendre is enticing, you’re struggling to apply everything they’re telling you and it’s just not working. You’re fully convinced that the sauced up shrimp is going to get the better of you. Luckily the waiter takes pity on you and shows you how to make a contraption using the wrapper and a rubber band. Now you have a set of thong-chopsticks. At least you’re not going to starve. This time your date doesn’t just tell you how to do it differently, they show you how to hold the chopsticks differently. The shrimp that were once vexing you are now rarely escaping your grasp. Now that you have the physical motion down you’re not worried you’ll have to go to bed without dinner. Each shrimp you manage to catch gets exponentially easier and the more you practice the easier it becomes. Your willingness to try something new and maybe look a bit goofy, learn through lots of repetition, and then practicing what you learned were the keys to success. Emotional Intelligence is a lot like learning to eat with chopsticks. They both take practice and you can become more skilled the more you practice. 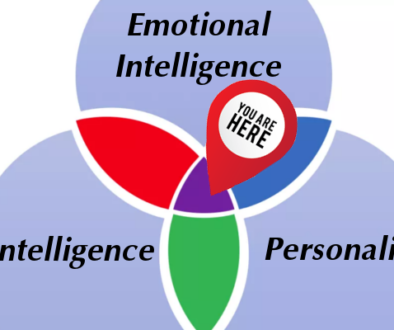 Your Emotional Intelligence (EQ) is a measure of your ability to reason about emotions and emotional information. This includes recognizing, understanding and managing feelings in ourselves and using this to interact with other people effectively. Unlike your IQ which is determined at the beginning of your life and relatively constant after that, your EQ can be trained and improved as you grow older. No one is born with the skills to be a master at either chopsticks or EQ. But with practice, commitment to improving, and people who are willing to show the way you can learn to use both effectively. Mastering both of them may help you to get that third date. Or… land your next step in your career. Many experts feel that EQ is just as important, if not more important, than your IQ for being successful at work. So while being intelligent is good, being able to work with others in an effective way is better. If I were asked by a genie if I’d rather have a high IQ or a high EQ, I’d answer, “Both”. As it turns out if I wanted to be more effective in building relationships I’d most likely be better to go after the EQ. the good news is that unlike your IQ your emotional intelligence can be improved. Sure, it takes some training and practice but in the end, you have the ability to improve one of the most important building blocks which defines who you are and how successful you’re likely to be. Approaching every conversation with the energy of “Yes! And..” leads to finding answers to sticky problems, being more creative in your solutions, and creating a culture of ownership and investment. Suspending judgments of other people’s ideas so that a full discussion of the idea can happen helps to keep emotions in check when the going gets rough. When a team is actively focused on making their partners look good it creates a culture of responsibility and accountability, blaming others and “not my circus, not my monkeys” is rarely heard. If you read the above paragraph from the point of view of a theater troupe, now take a second to re-read it with the point of view of a manager running a marketing team. Or a call center team leader. Or just about any team in a corporate environment from the C-Suite all the way to the front line sales people. These tools are effective in building strong teams in just about every aspect of life. Using these skills on a daily basis will help to improve your EQ. But the real power of doing Improv training is that it is a format where your entire team can learn these skills together. 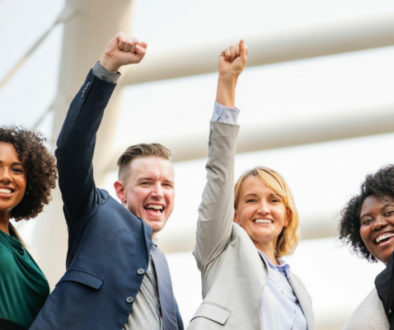 Having your team work together on exercises specifically designed to build what Bradberry & Greaves describe as “social competence skills” can help them to recognize ways they can increase Emotional Intelligence across the organization. Taking that step in unison can have a profound impact on the culture of a corporate team. Other companies who do improv training may do a great job of entertaining you and your team with a funny show. Often corporate training is a side business compared to their theater shows and comedy classes. We will be entertaining as facilitators, don’t you worry. 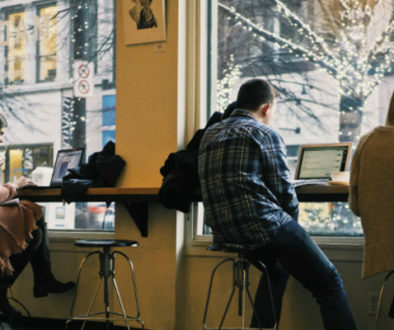 But our focus is on helping you build a positive, creative, and passionate corporate culture. At ImprovThis our sole mission is to create fun, hands-on workshop style training sessions to build closer, more collaborative teams. We also focus on working with your team so these skills are implemented after the workshop and provide tools to ensure the learning becomes part of the culture. Steve earned his MBA from DePaul University and has worked at Fortune 50 and Ad Age 50 companies. However, he found his true passion when he took his first improv class at the Second City Training Center in 2002. Since then he has focused on training people in communication and leadership skills through the use of the "Three Pillars of Improv". He worked with countless teams instructing them in how to communicate more effectively, build closer knit teams, grow their emotional intelligence, and create a positive corporate culture. In his spare time, he still performs short-form improv on a regular basis.